Combining hip-hop music's fast-paced lyricism , folk music's storytelling, and soul music's intimate vocals, Lillimure offers a brand new, personal sound. Lillimure is a 19-year- old Singer/Songwriter from Westchester, New York. Her music follows her honestly through her experiences, creating an intimate vibe with the listener. Combining hip-hop music’s fast-paced lyricism , folk music’s storytelling, and soul music’s intimate vocals, Lillimure offers a brand new, personal sound. She hopes her music can make people laugh, cry, and feel everything in between.Lillimure has been writing and singing songs since as long as she can remember. She never considered songwriting her career path until a life-altering gymnastics injury. After tearing a ligament in her wrist, she found that making music was the only thing that emotionally satisfied her. Her experience includes gigging locally and nationally in venues such as The Bitter End (NYC), Rockwood Music Hall (NYC), The Viper Room (LA) and The Bistro (SF). Fast forwarding to present day, Lillimure is working hard recording her second album! She currently has her debut EP “Canvas” on all digital platforms music is sold/streamed. 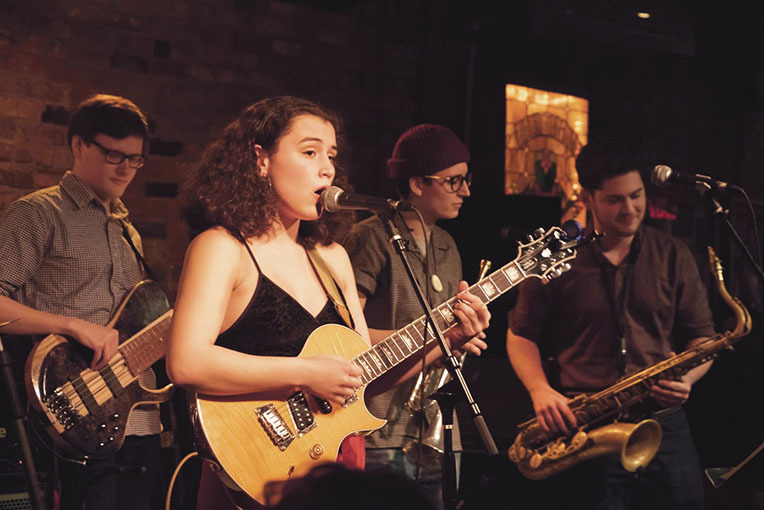 Apart from her recent projects, Lillimure is pursuing her passion full-time in New York, gigging locally throughout Weschester and the City. Sign up to the mailing list for any and all updates, as many exciting things are on the horizon!